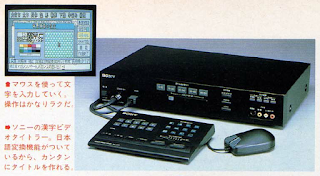 The last Sony equipment that we saw was the XV-T600, which is not a MSX. 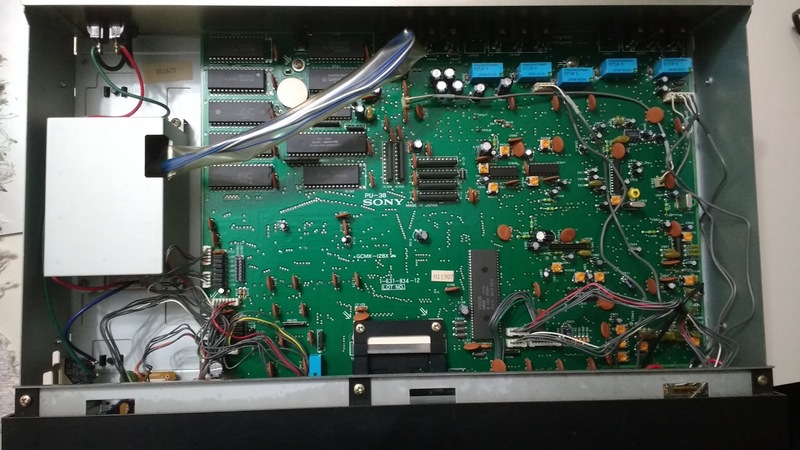 That's not fair, Sony was a big supporter of MSX standard and, most important to this blog, sold many devices powered by MSX technology. 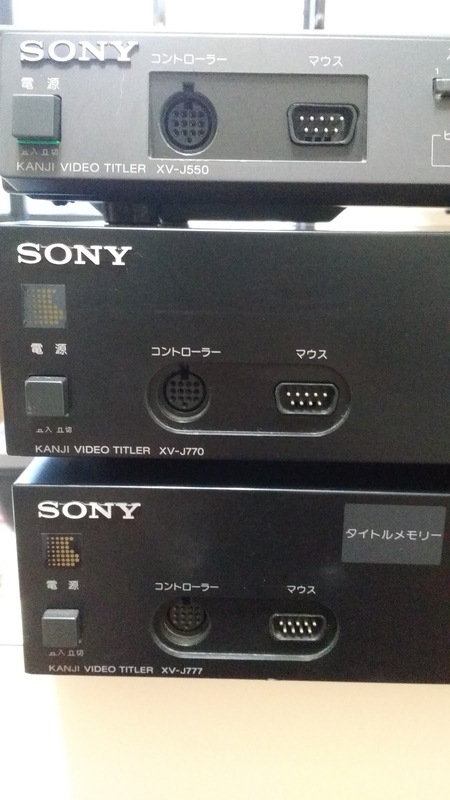 To repair this injustice we will examine two Sony Kanji Video Titlers at once: XV-J770 and XV-J777. 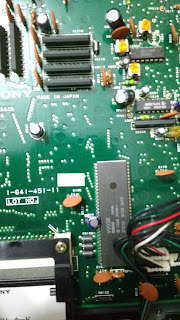 If you have a good eye (and good memory), the mouse of XV-J770 is the well known Sony MOS-1, the same one that Sony sold for their MSX computers and is included in XV-J550. 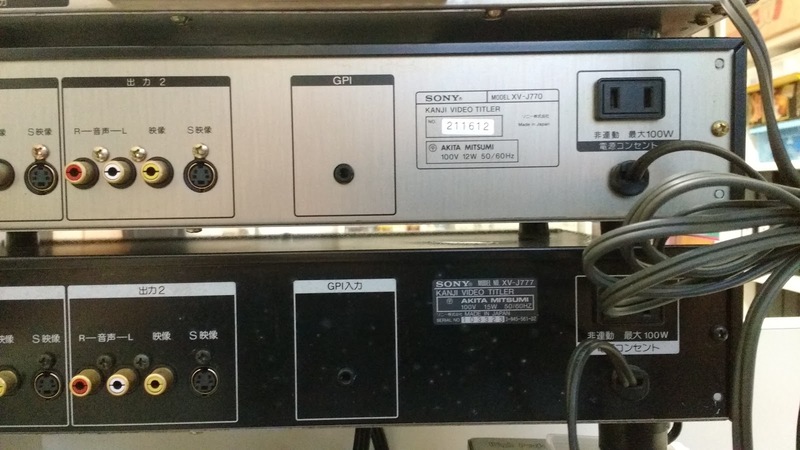 The small controller keyboard is the same of XV-J550 too. Although not famous as its cousin XV-J770, XV-J777 have a very close look. 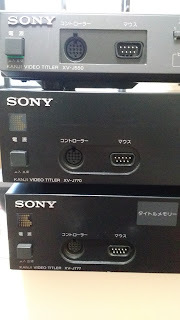 Pile of Sony Kanji Video Titlers. 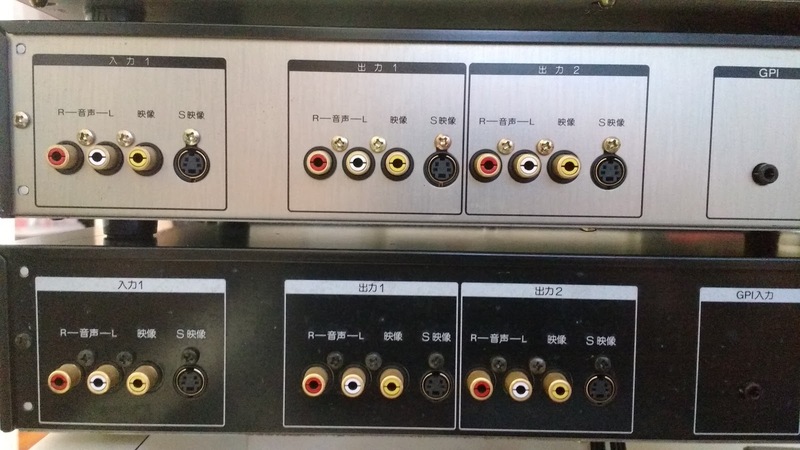 From top to bottom: XV-J550, XV-J770 and XV-J777. spotted between XV-J770 and XV-J777. are the same on all three models. 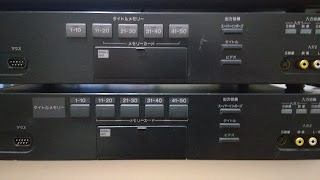 They have the same high and are both taller than the XV-J550, which gives more space inside their cabinets. More space is a good thing if you think in to hack those machines. 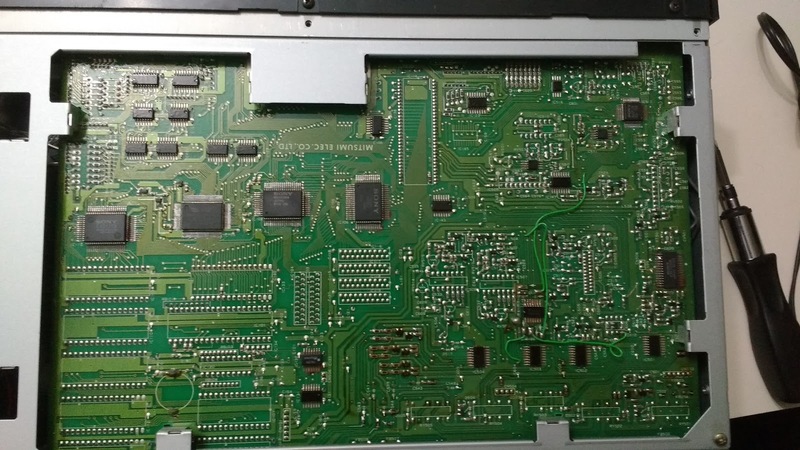 They are high enough to put a small cartridge, and the XV-J550 have a internal MSX slot. The expansibility of the XV-J770 and XV-J777 looks promising. plate is painted in black while in XV-J770 it's in bare metal. 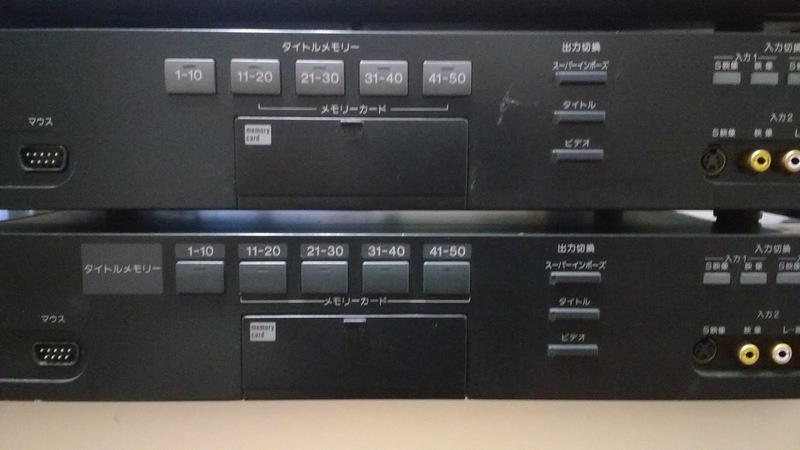 Another difference between these two titler's models and the previous one, the XV-J550, is the presence of a external mass storage. 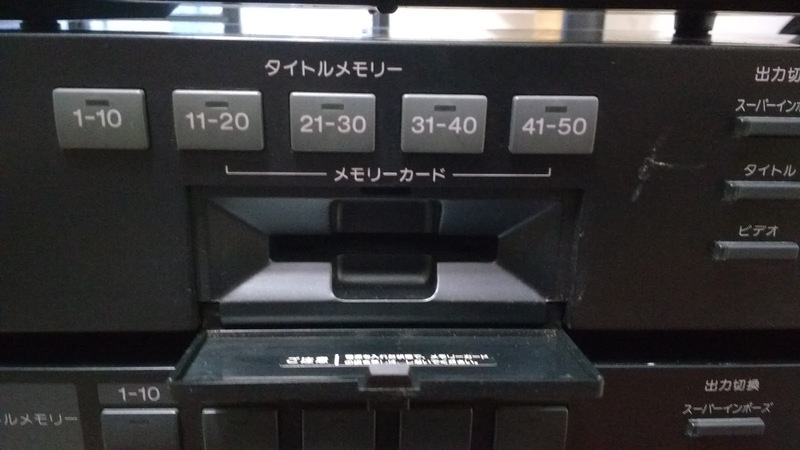 They have a slot for IC Cards, this way the user isn't stuck with the internal storage, which is a small (16KB) SRAM backed by battery. With all this storage available, the front of both titlers have a button row to select between the many data banks saved. below those buttons protects the IC card slot. 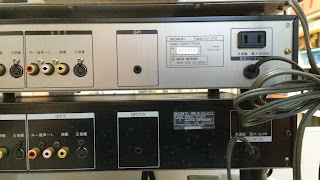 Behind the doors, the IC card slot. What's inside XV-J770 and XV-J777? The internals of those two video titlers aren't the same, while they are still very similar. In a Sony's catalog from 1991 those two equipments are announced and the only listed difference between XV-J777 and XV-J770 is that XV-J777 comes with an IC card. 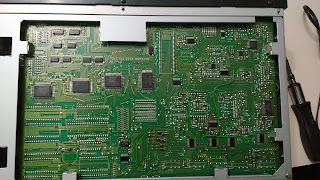 So I guess that the internals of those two machines are intended to be the same but I have two different revisions of the main board. 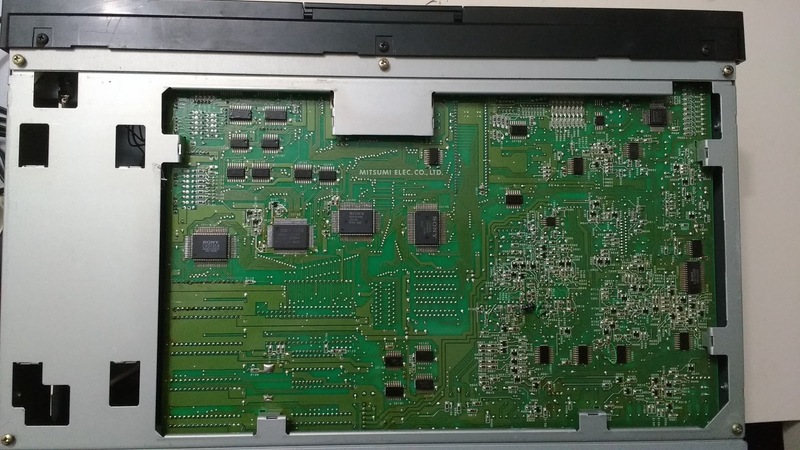 Probably if someone buys many of those titlers we will find some XV-J777 and XV-J770 with the same board. 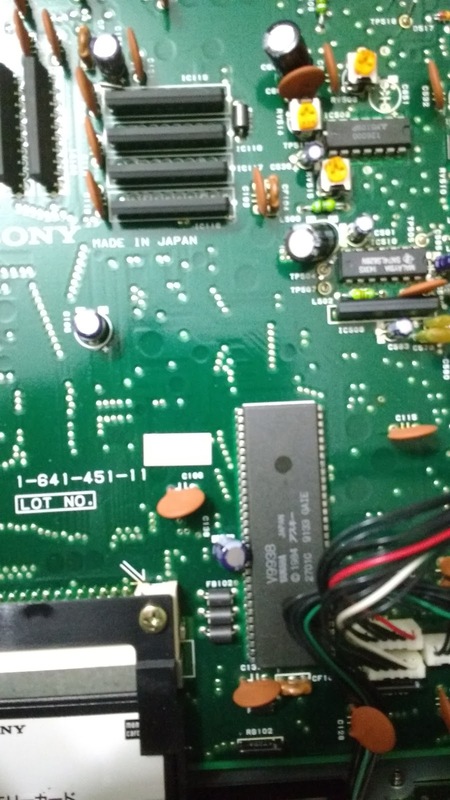 Main board of Sony Kanji Video Titler XV-J777. 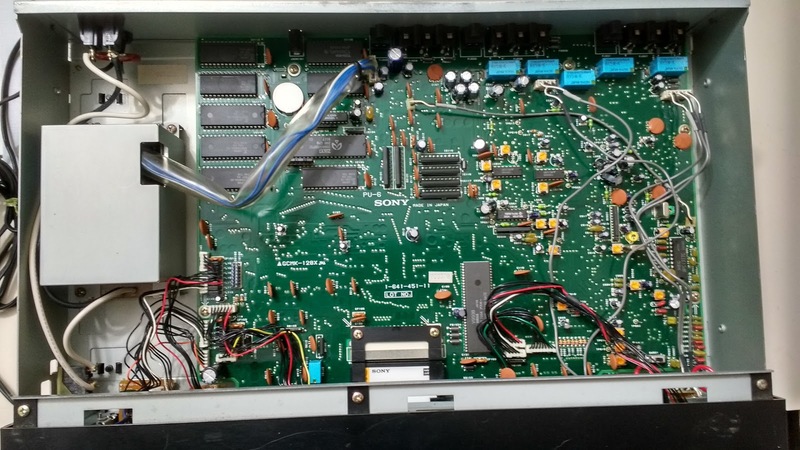 You can see, at lower of this picture, the "included"
64KB IC card inserted in its slot. 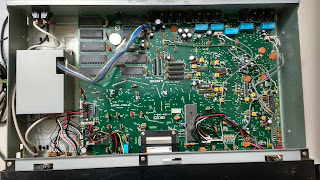 The first thing that I noticed after open the titlers was: there is no slot connector. Damn. The XV-J550 have a MSX slot connector, but doesn't have internal clearance to put anything in this slot. 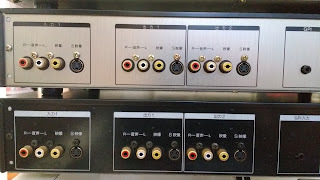 The XV-J770 and XV-J777 have room to put a cartridge but doesn't have the connector. lastly, another ROM. At bottom right two groups of RAMs. previous picture you can see better these chips). 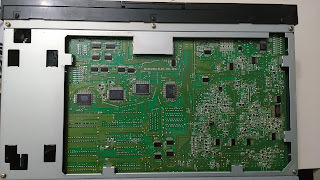 At bottom, the MSX2's Video Processor, the Yamaha V9938. 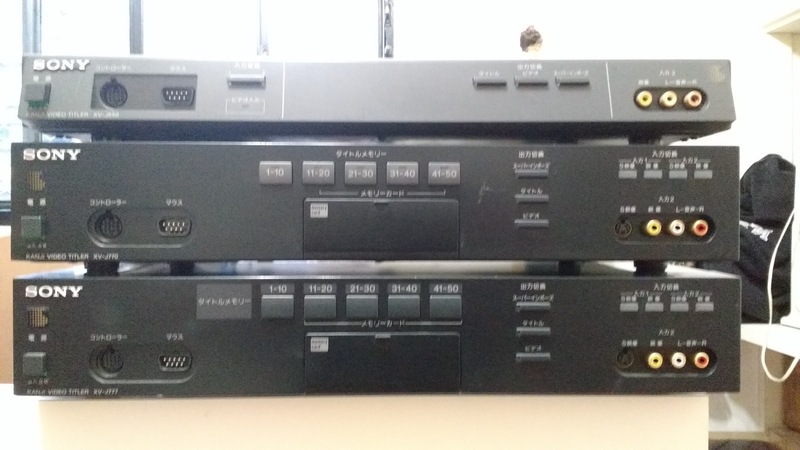 We already have many items to identify these two machines as MSX based: Z80 CPU, V9938 VDP, VRAMs, RAMs, etc. We still need to check the ROMs and to find the PSG and PPI equivalents. 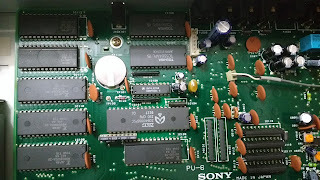 The solder side gives to us more items in our MSX based checklist, there we can see the PSG and PPI equivalent, the MSX-System II (Yamaha S1985) and a Sony custom memory mapper (Sony MB64H444). Another nice detail in solder side is the board manufacturer name: Mitsumi Elec. 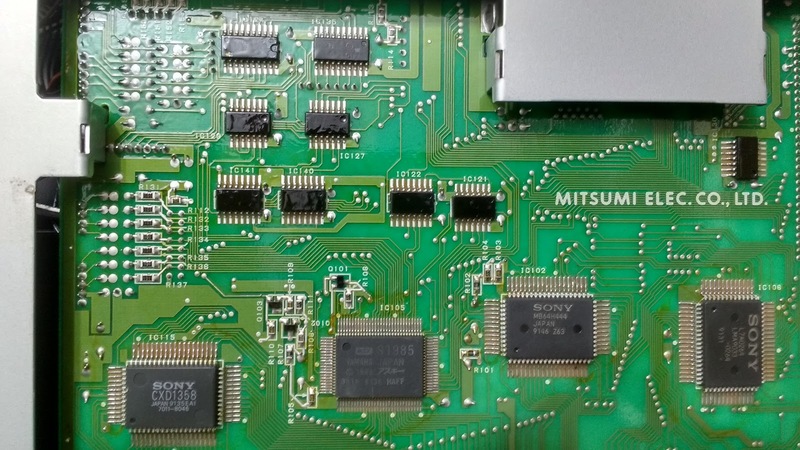 Co. Ltd. Mitsumi was the only manufacturer in the list of MSX licensees that didn't built any MSX (NEC did some MSXs for Philips). Even doing these PCBs at Sony's request, I guess we can now say that Mitsumi built at least these MSXs.